Poster Paper offered comes in quality construction finish and provides for perfect functional support as demanded by the customers. Further, the available bag options can be provided by us in different sizes and find extensive use for end product packaging like toothpaste box, shoe box, cloth packing and others. Some of its features include available in different material finishes; choice of different GSM like 230gsm to 500gsm; available in AAA grade, AA grade, A grade and B grade quality; can also be offered in special finish sizes. 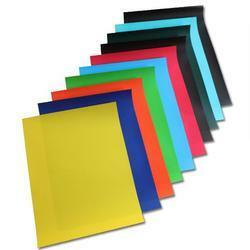 Looking for Poster Paper ?